If you find yourself in an emergency situation, something as mundane as staying connected and being able to communicate can be the difference between survival and death. If the emergency was caused by an EMP, staying online can become particularly complicated but if you have the right knowledge — and a tin can — it doesn’t have to be. Here’s how you can make a WiFi antenna to boost your signal in the event of an emergency. 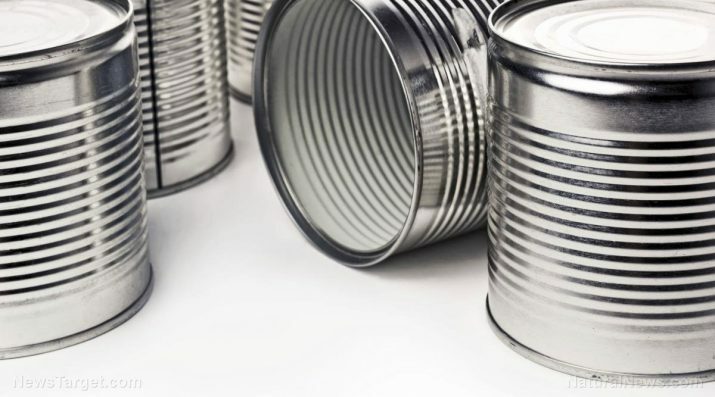 Clean and remove the label on your tin can and open only one end of it. Drill or punch holes into the can so you can mount the probe. Make sure that the size of your hole is appropriate for the size of your connector. Also, keep in mind that where you place the holes is crucial, and needs to be calculated based on your can’s diameter. You can use the calculator on the TurnPoint.net site to determine the measurements you need. Assemble the probe and mount in the can using the wire. Use your antenna by connecting it to a wireless card or access point. To do so, you will need a pig tail cable, which connects your access point to to the N-connector in your antenna. Once you connect the cable, you can point your antenna to any direction and see how well it works! An EMP or electromagnetic pulse could happen at any given time, whether naturally through a solar flare, or through nuclear warfare. While it doesn’t sound particularly catastrophic, an EMP could bring down all the electronics and power grids in the country. The key to surviving an EMP is to have non-electronic appliances and tools on hand, as these will be unaffected by the electromagnetic radiation. According to OutdoorLife.com, consider building or buying a solar oven so you will be able to cook food even without power. Other non-electronic gadgets such as wind-up flashlights, hand-powered water pumps, and manual can openers could prove to be particularly useful, as well as non-electronic light sources such as candles and oil lamps. With most banking done online or automated, money may not be as valuable post-EMP, so having items ready to barter is also important. These include valuable necessities such as hygiene products (toothbrushes, toothpaste) and gasoline, and vices such as caffeine, and entertainment such as books and playing cards. At the same time, ensuring that your electronics are protected even before an EMP strikes could save you a lot of trouble. OutdoorLife.com recommends building a Faraday cage, which is a container that blocks electromagnetic fields. An old microwave oven works well for this purpose, and storing your electronics there can save them from an EMP. Of course, if you’re building a WiFi antenna post-EMP, you will need an access point and gadgets to connect to it, so keeping them safe in a Faraday cage is one of the best things you can do to prepare for an EMP attack. Learn more tips like these when you visit Bugout.news.